With over a year of working mum life under my belt, there’s one thing I’ve discovered. You just can’t do everything. Time and energy are precious and after a hectic 2018, this year I’ve decided to really review how I can make life easier. So when I was offered the chance to try out HelloFresh, I jumped at the chance. The convenience and peace of mind knowing my menu for the week was sorted and delivered to my door definitely saved time and made life easier. I tend to be a frequent visitor to the supermarket to get extras for dinners, but this week that all changed! My HelloFresh box was delivered to my doorstep filled with quality meat, produce, seasonings and condiments needed to create the recipes. 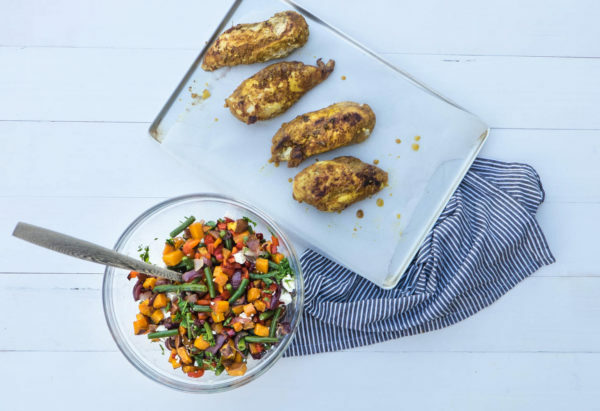 The meals (minus the chilled items) come in prepackaged meal bags which are colour coded to match the recipes, making it super simple to know what goes with what when it comes to cooking. At dinner time, you can just grab the bag, then the other chilled ingredients and you’re ready to cook. The recipes were simple to follow and only took around half an hour to prepare and cook. This meant we could get dinner on the table early, which is always a necessity with a toddler in the house. The biggest plus for me with HelloFresh was the peace of mind. It might sound silly, but thinking about what to have for dinner has felt like a big chore when there’s already so much else to think about. It honestly felt like such a relief not having to think about what I was going to eat for the week or if I needed to rush to the supermarket in my break or after work to pick up something I needed for dinner. I knew I had everything I needed to create a delicious meal. And that frees up both time and mental energy for the more important things in life, such as spending time with my little girl. The process of ordering with HelloFresh was also straightforward and it is made even more accessible with their mobile app. You can switch meals, change your plan settings, check the menus for the next few weeks and more from your phone. I ordered the Classic Box for four, but the Family Box also looked great and I might switch plans to that next time. Despite owning a slightly embarrassing number of cookbooks, I tend to repeat the same recipes over and over again. It’s been exciting to come home to trying different meals and ingredients and I’ve felt like I’ve enjoyed cooking more than usual for this reason. And the flavours are perfect even for my little eater. 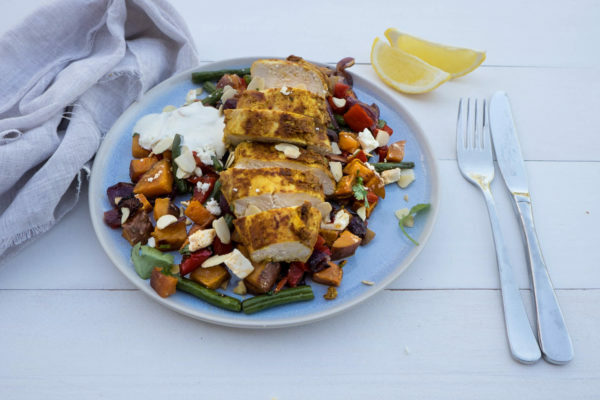 My favourite meal this week was the Middle Eastern Yoghurt Chicken, with Roast Vegetable, Feta & Coriander toss. It was such a nice combination of flavours and textures. Other yummy meals were cheesy beef nachos (with homemade tortilla chips), Bacon & Basil Pesto Pilaf, and Sage & Rosemary crumbed chicken. The meals were generously sized and because I went for the box for four, we had plenty of leftovers. This meant there was the added bonus of lunch being sorted the next day too. Life as a working mum definitely felt a bit easier this week thanks to HelloFresh. There’s been less stress, less energy spent thinking about what to eat, fewer trips to the supermarket and less time spent in the kitchen. And all of that means more time for myself and my family. 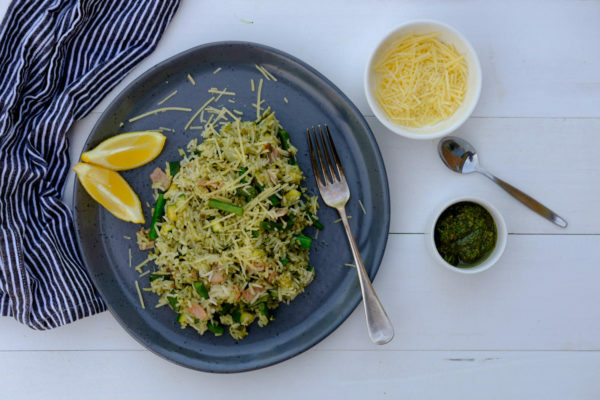 If you’re keen to experience HelloFresh, I’m treating you to a $35 discount off your first box! 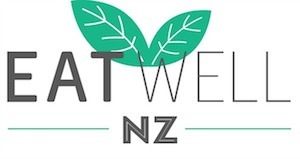 Simply use my code EATWELL or click here to redeem the offer. While it’s not a quite a week off cooking, it certainly makes it faster, convenient and enjoyable too. I’m giving away a HelloFresh box to one lucky person. To be in the draw, simply comment below with what you’d like the most about HelloFresh. Competition will be drawn Friday 15th February and the winner will be notified via email. Not having to think of what to cook each night! I would love the convenience of Hello Fresh, not having to plan dinners would be such a load off my mind. 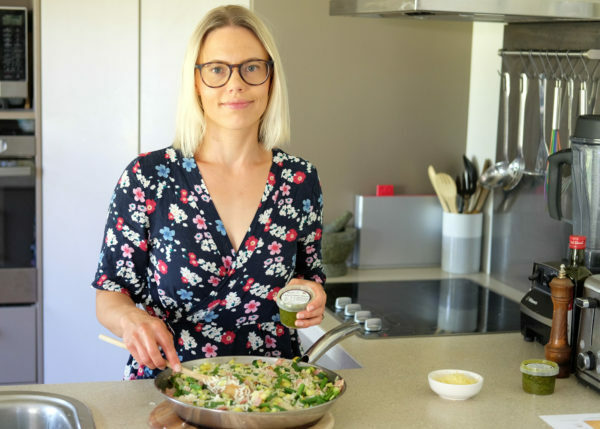 I would love Hellofresh as it would take the pressure off me – I’m currently in the process of moving houses and have super limited time, so this would bring me heaps of relief. As someone who is in recovery from an eating disorder I also tend to get stressed and a bit neurotic about what to eat, so having the decision made for me would be a fantastic challenge and opportunity! Not having to decide what to cook or check you have all the ingredients is amazing! Would love some inspiration as a busy working mum of 3 it’s always a mission to get dinner sorted! I like the sound of the quick prep times. During the week everyone is tired and hungry. I have always looked at these type of boxes but hesitant to try one with a fussy husband. Would love to win one to see if I can convert him. I would love to try Hello Fresh to ease the “what’s for dinner” mental load and to try some fab new recipes (and expand my toddler’s palate!!). I’d love not having to think about what to cook for dinner and to get out of my rut of cooking the same meals on repeat ? I love the idea of not having to think about what’s for dinner, and worrying if I’ve got all the ingredients! I would love to try a hello fresh box to help me with portion sizes so often we ( I ) shop and buy the bigger packet of meat (because its less per kilo) or the jumbo packet of chips etc because you think oh well i’ll use that for 2 nights dinners, but you never do and I hate food waste so I gets eaten by me, so I end up having 1.5 meals instead of 1 and that is my biggest problem I am fat because I am too well fed. It would take the guess work out of meal prep. The stress of trying to find ingredients and save time with everything ready to go. I have a kidney condition that means I spend a lot of time in hospital. My partner is very good about bringing food in when he visits but his repertoire is not very wide and he often lacks confidence to cook new things. Hello fresh would be so amazing to take the stress about planning and shopping away and to give him some great recipes to try out and learn. I would love not having to think of ideas for dinner and rushing off to the supermarket every 5 minutes because I have forgotten something. I think I would love the convenience of not having to decide and plan what to cook! It would mean I wouldn’t eat the same thing most days during the week – I do this as it’s easy and reduces the mental effort of deciding what to have. Have wanted to give this a try for a while…. The thought of not having to workout what to have for dinner and venture into the supermarket, how amazing would that be!!!! Sounds so easy quick and fantastic when you want to eat as healthy as possible but you’re are time poor. Like you, I own an embarrassing number of recipe books 😉 (which I love to “read” and get ideas from rather than strictly follow recipes) but also find myself repeating the same meals over and over. I’d love some new inspiration and some of the mental work/planning done for me (with a toddler and a preschooler, mealtimes can also be a bit rushed in this house!) Would be awesome to win! I think I’d love most about Hello Fresh is the inspiration of meals from all over the world. I get so bored of making similar meals each week. Id love to be introduced to some new dishes that me my family can love. Also less chance of getting take out or just giving the 3 year old some baked beans but sometimes needs must right. I would love it to help me be more organized with my meals. As a working Mum, I too feel like i throw the same tried and tested meals together despite also have a pile of lovely cookbooks. Living remotely im not able to just pop down to the shop to get ingredients etc either so this would solve all those problems. Having a fresh, tasty meal ready to cook! I would love Hello Fresh as it looks all so tasty & would give me a week of not having to think about what to cook for tea. my wee girls would love to help too! Having someone else do the preparation for me as it’s sooo time consuming. This would be absolutely amazing!! Love what Hello Fresh stands for ??? Simple to prepare means I could even have a night off cooking as the children would be able to cook with little to no input… I might put my feet up or get some homework done BEFORE dinner! Not having to think about and plan meals for the week. Deciding what to make for dinner is too much effort some days! I’d love to try Hello Fresh simply for the fact that the decision has already been made for me. The meals sound delicious too which is a definite bonus. I’m a busy working mum so this would make my life a lot easier. Not having to face the supermarket- with a toddler and a threenager in tow, it is never a fun experience! Trying new foods and cooking techniques! We tend to eat the same dinners on rotate so trying some new things would be nice! Some inspiration – I get a bit stuck in a rut with meals! Oh gosh – as a working parent this would be WONDERFUL. It’s SO tiring some weeks getting a quick, nutritious meal on the table for the family before the “hangry” sets in without resorting to the same old faithfuls (which aren’t bad just on auto-repeat a LOT). I’d like this just to give my brain a bit of a break and to see what else can be done to give me some inspiration going forward. I’d love to free up some time not having to meal plan and do a big shop, sounds perfect! I have found Hello Fresh from Facebook advertisement and it captured my attention until I stumbled on this blog. Very informational makes me really feel the urge to try Hello Fresh for three reasons. 1. No need to think for the meal plan and go to super markets makes it very convenient and saves a lot of time! 2. I always cook the same meal every time and I would really like to try to cook more delicious and amazing meals from great recipes. 3. Ingredients are of quality, healthy, freshly delivered on your doorstep on a very affordable price. With Seasonal Sustenance, all through the year. Not having to go to the supermarket would be a dream come true! I would absolutely love to win this for my mum. I enjoy cooking for her especially when she has had a hard day at work but I have other commitments which makes me have no time to prepare meals. Winning the Hello Fresh Box would be amazing for my family and I’m sure mum would be relieved when she has some weight taken off her shoulders. For me it would be one less thing on my mental list – what to eat, do we have all the ingredients, is it balanced etc etc. Also great to try new flavours and expose the kids to new foods ? I’m keen to experience what all the buzz is about with delivers homemade meals ????? For me it’s the best of both worlds, like going to a resturant but also getting to cook it yourself! I just spent three hours of my Saturday morning meal planning and shopping (albeit it is for the next two weeks). I would love to spend my time on something else if there was a great product out there that took care of meals for me! Hi I haven’t tried this before I would like to try if you give me the opportunity to try it would be so great. I am desperate for some new, healthy, fresh meal ideas. I just keep rolling out the same old, same old meals. i live on my own, its very hard to get inspired for ‘one’, this would help bolster my enthusiasm for cooking once more. Not having to think about what to make for dinner! 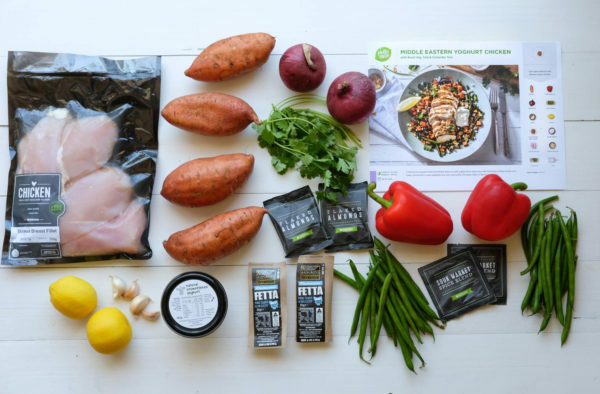 Would love to try a hello fresh box- would be great to learn and try a variety of recipes and foods and would be so helpful for my whole family to not have to worry about what to cook for dinner – plus the meals look amazing! Work/home balance is tricky to master…I certainly haven’t! A week of Hello Fresh delivered would be a great way to try it out and have one less thing to think about! Not having the stress to plan a meal- I’m really bad at it ? Would live to get out of the rut of having the same food each week. Not having to do the weekly dinner plan and grocery shop! Honestly I’m a uni student so eating healthy food and planning my food for every week is really hard and I struggle to get my daily nutrients and tasty meals as everything for me is a budget and I have to have time during the day to cook, and this would make my daily life a lot easier! I heard about Hello Fresh yesterday from a colleague and thought about trying it, but am not sure it would be right for us. This would be a good opportunity to try this with no risk. The ease of not having to grocery shop or meal plan for the evening meals. And the look nutritious and healthy!! Fresh ideas as sometimes I am board with same old same old! I think for me it would probably be taking away the hardest task of the day which is deciding what to have for dinner. I would love to try hellofresh to help ease the stress even if for a bit, I am a single mum to four kids, 3 of which are teenagers…drama central here…I would love tea not to be one of them for once. Hello Fresh, I would love to try this, it would be a fantastic way to try new cuisine without getting halfway through a recipe and realizing i don’t have some of the ingredients! Frankly, that’s half the reason i stick to my same old favorites. So yes, i would dearly love to try HELLO FRESH! Being able to win a HelloFresh box would be a fantastic way to make sure my family are having fresh meals during the week, with me working 50 hour weeks this is a major struggle at the moment. My family would love this as I really hate grocery shopping with a passion and being the person who decides what we eat/cook on a nightly basis does mean that there is at times not very nice feedback (its not like Jamie Oliver is it). For someone else to take that pressure off my hands would be perfect and for the meals to arrive on my door step without any burden – healthy meals that will keep everyone guessing would be magic and a dream come true.